To enter one of our Digital Competitions then, as well as the rules on criteria etc., you need to follow these Format and Submission Rules and submit your entries by the due date. To be compatible with the digital projector, images must be in JPEG format, in RGB mode (even if monochrome) and in the sRGB colour space. Images must not exceed 1400 pixels wide by 1050 pixels high. If you are using your image in portrait orientation, the maximum of 1050 pixels high still applies. Scale your image proportionally so its size does not exceed these figures and at least one side is at the maximum size allowed. Your software may well help you find the correct dimensions. For example in Photoshop the Image Size command allows you to constrain the proportions of your image so they remain proportional while you try setting the width to 1400 pixels. 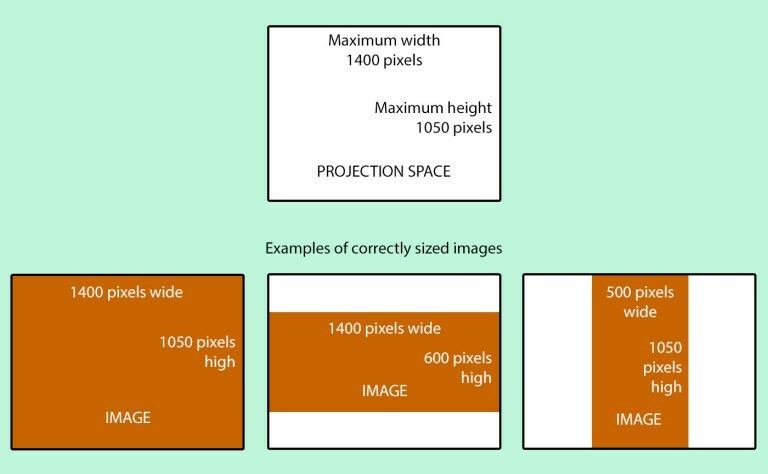 If the software offers you a height that is less than or equal to 1050 pixels then you have correctly re-sized your image. If the height offered exceeds 1050 pixels then set the height to 1050 pixels and let the software select the width for you. The width offered should then turn out to be less than or equal to 1400 pixels. Do not fill in any non-image areas which are spare around your image: the projection software will project these areas as black. If you have an internet connection then you must submit your entries online using the upload website at http://entry.ilkleycameraclub.co.uk. If you name each file with the title of the image then that title will be picked up automatically in the title box. If the file name is not exactly the same as the title then you have the opportunity to correct the title in the title box. Please do not exceed 50 characters, including spaces. Please do not include ‘-’ or ‘_’ in titles. A correct example would be ‘Rose Garden’. In a change from previous practice, do not add your membership number or your order of preference to the image title. If you are submitting a sequence of images and it is important that they be shown in a particular order, then upload then in the order you want them to be shown. Login with your membership number, surname and password (published to members by the Secretary). Follow the instructions for upload of each image. Browse your own files to select the image (as prepared above) which will then appear in ‘title’. Correct the title if necessary. If the image is not in the correct format you will receive an error message and the file will not be uploaded. Correct the error and reselect to resubmit. If you get an error that you don’t understand, please email the message along with your image file to Tim Sawyer. Add further images to this competition or upload to another competition. Log out after successfully uploading your images. If you later decide you want to remove an image from a competition entry, you will need to start by deleting all your entries for that particular competition. Use the delete option above your entries. You will then be free to upload again the images you want to keep, together with any replacements, in the correct order. Remember to complete this before the closing date for the competition. As well as competition use, the Club will keep the digital images solely for record purposes, for use on the website and the end of year awards ceremony presentation where required. The photographer will retain copyright. If you do not have an internet connection, consult the Digital Secretary in good time on how to submit your entry. 1. Original photographs not previously entered in the Club’s annual competitions. 2. Saved as JPEG files in RGB mode and in the sRGB colour space. 3. Size the image correctly. 4. Name the file correctly. 5. A maximum of two images per competition are permitted (see special rules for the Rundle Trophy and Audio Visual).